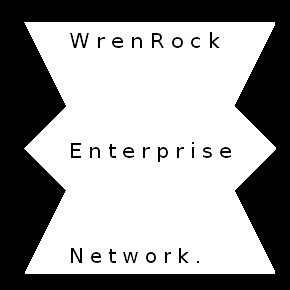 Founder of http://www.wrenrock.org, Producer, Artist, Inventor, Designer and Entrepreneur. Keith Flint was found today at his home in Exeter, having apparently commited suicide at the age of 49. This man, a vanguard rebel of both rock and rave cultures appeared as a dominating presence, some violent punk harlequin to herald an age of industrial dance music, rock and Drum and Bass tinged beats. He was not alone, equally great figures, Liam Howlett and Maxim were brothers in a conquest to throw two fingers up at pop-based mediocrity. Was a public dressing down given to a council, (in the newspapers no less,) for having a confirmed music gig banned. The Prodigy weren’t about making friends, they were about fighting with fire, finding family and forgetting fools. These kinds of people often turn up in a decade no more than once, and very rarely do they burn so passionately without compromising their values. It goes without saying that the sound, energy and principles behind this band is what took this band so far in their rocket-like trajectory, and deserve a place among the stars. It’s tough for me to write this, having put a lot of myself, over time, into learning music, of the style pioneered and inspired by the eighties and nineties giants. The Prodigy stood proud, though, as being venomously vital and consistent in their style and aesthetic. More Punk than punk, heavier than rock, and more energised than any contemporary dance music. You can take any one part out of the prodigy, and it could still wipe the floor with any band close to their eclectic style.. but to lose Keith is surely a loss that can’t be replaced. I personally feel, strangely, bereft. This man I have never met, but his voice is more familiar to me than most people I live around in this town. A sneering punk poet and rapper decrying society, while rising above. A Beacon of rebellion and passionate counter-culture, the life of a true Firestarter. Braintree’s finest and fiercest, Keith Flint. RIP. A Minor bug was discovered in RotaSpinna, that will be updated with a bugfix to be made available by google market in a few days. The bug was this: Rotas saved with space characters ‘ ‘ in any names got loaded out with those names seperated out. If someone was put in as “Staffy Stafferson”, it would come back from the saved bank as two people, “Staffy” and “Stafferson”. This will be rolled out A.S.A.P. Also, news coming soon of marketting tripe! I mean exciting NEWS! I’ve been busy this past week, beside temporarily losing access to the ‘net and losing touch with nearly all of my programming work space. Sleep as been a side concern for me as I rush hither and tither, seeing family, travelling much of the length of the country and designing future Wrenrock creative outlets in framework and contents. Much of this last year, like the years before in these 7 gone by, I have been hitting the nail on the head to resurrect my entrepeneurial efforts. We all have the ability to dream new ideas. Putting them into practice and making them a success, however, are two steps far too few manage to even try, but more and more people are being called to do. In times of uncertainty and in a recent history of UK austerity, followed by Brexit. So I Happily tell you, good Reader, that it is not so difficult that one shouldn’t try. Remember, the sting of failure is brief, the medicine of experience lasts a lifetime. Pick up that tutorial, learn a new skill, define a month by giving it to a new work. Build something uniquely you for the whole world to be witness and be in awe of. It’s all about Changing the Landscape.